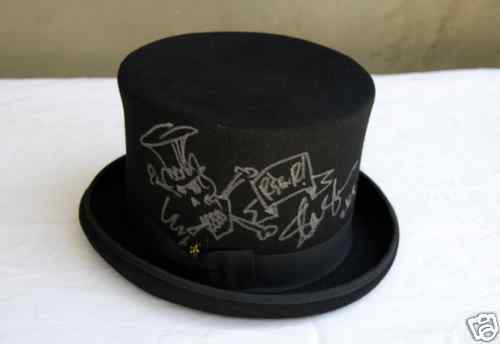 Guitarist Slash, who is currently working on on a solo album and still searching for a new Velvet Revolver vocalist, is auctioning off a personal Top Hat autographed, a copy of his book autographed and an autographed 8×10. Details of the auction can be found at ebay.com. The auction is part of the Steve Vai “Where The Wild Things Are” DVD charity release party! Both the DVD and CD are in stores on September 29, 2009.